Colgate Love Story: Pascal Kabemba ’85 & Teresa Delgado ’88. Click on photo for full story. In Tribute: Colgate professor Bruce Berlind, 1926-2014. Click on Photo for full story. Edwin A Phillips ’37, October 28, 2013. Phi Beta Kappa, Commons Club. US Navy; 6 battle area ribbons with battle stars, and a Commendation Ribbon and Medal for Okinawa, WWII. University of Michigan: MS, 1940; PhD, 1948. He became an instructor of Botany at Colgate University. In 1948 he was offered a teaching position at Pomona College, where he later became chairman of the Department of Botany 1972–1977, and retired as the Henry Kirke White Bent Professor of botany in 1980. He was predeceased by his wife, Margaret, and is survived by 2 daughters, 3 grandchildren, and 4 great-grandchildren. John B Merrick ’38, June 26, 2014. Theta Chi, Maroon, marching band, pep band. US Army Air Corps, WWII. George Washington University Medical School: MD. In 1946, he and his wife, Eloise, moved to Weatherford, TX, where he joined two of his medical school classmates in a practice that spanned 40 years. He was a lifetime member of the Texas Medical Association, and served on the Weatherford ISD Board of Trustees from 1961 as well. He was predeceased by his wife and son, and is survived by 2 daughters, 6 grandchildren, and 4 great-grandchildren. H Russell Freeston Jr ’41, May 29, 2014. Delta Upsilon, Finance Professional Network, student government, wrestling. US Army Air Corps, WWII; Purple Heart. He had a long career in the insurance industry, working for a number of major companies and retiring from Aetna Life Insurance Co in the 1980s. He was predeceased by his first wife, Ruth, and his second wife, Dorothy. He is survived by 2 sons, John ’69 and Ken ’72; 3 grandchildren including Norah Fallat ’04; 5 great-grandchildren; and stepson Steve Kingsbury ’71. Carleton Pomeroy Jr ’41, June 26, 2014. Phi Beta Kappa, Commons Club, marching band. He was an engineering manager in charge of the Engineering Materials Lab at Bendix in Sydney for 41 years until he retired in 1982. Additionally, he was the Bendix Corporate Gatekeeper responsible for expertise in plastics and elastomers for all Bendix Divisions. He is survived by his wife, Lona, 2 daughters, 3 grandchildren, and 3 great-grandchildren. Kirtland Flynn Jr ’43, May 1, 2014. Phi Kappa Tau, Masque and Triangle, Outing Club, university chorus. US Army, WWI. US Marine Corps. He was a systems analyst for Celanese Corporation of America for more than 18 years, and later worked at JP Stevens & Co as part of their business systems planning staff. He was predeceased by his wife, Jane, a daughter, and his sister. He is survived by his wife, Anne, his son, his daughter, and 2 grandsons. Judson S Griffin ’43, June 14, 2014. Beta Theta Pi, Maroon, football. US Navy Medical Corps, WWII, Korean War. Harvard Medical School: MD, 1945. He served terms as president of the Broome County Medical Society and of the medical staff of Binghamton General Hospital. He also served as chairman of the surgical departments of Lourdes Hospital and Binghamton General Hospital. He was predeceased by his wife, Edith, and his father, Howard 1913. He is survived by a sister, a son, 2 daughters, 5 grandchildren, and 7 great-grandchildren. Peter Peyser ’43, October 9, 2014. Phi Kappa Psi, hockey, tennis, basketball; Colgate Board of Trustees, Alumni Corporation Board, Maroon Citation Award (1972), Finance Professional Network. US Army, Bronze Star. After the war, as a captain, he commanded the National Guard infantry company stationed in the Yonkers Armory. He then began his longtime career as an insurance agent and executive. In 1962, he was elected to mayor of Irvington, NY, while still working full-time in insurance. In 1969 he ran for Congress, where he served five terms, first as a Republican and then as a Democrat. Following his political career, he re-entered the financial sector in the ’80s. He was predeceased by his brother, John ’38. He is survived by his wife, Marguerite, 2 daughters, 3 sons including James ’78, and 5 grandchildren including Kim ’05. Richard L Owen ’45, June 30, 2014. Sigma Nu, football, wrestling. US Marines. He was a partner in Royal Tire Service before retiring from Uniroyal and later retiring from Connecticut Tire. He was predeceased by his wife, Virginia, and a daughter. He is survived by a son, a daughter, and his grandchildren. Lionel W Taylor ’45, MA ’48, May 27, 2014. Commons Club, Colgate Thirteen. US Navy. He worked as a mechanical engineer in the manufacturing of air conditioning and compressor equipment. He is predeceased by his son. He is survived by his wife, Fay, and 2 daughters. Frank B Ware ’46, March 4, 2014. Beta Theta Pi, Common Good Professional Network, tennis. US Navy, WWII. Wayne State University: MA, PhD. He was a national sales manager for Wayne State University Press and a philosophy professor at Wayne County Community College District. He was predeceased by his wife, Marjorie. He is survived by his son and 2 grandchildren. Edward C Krebs Jr ’47, June 18, 2014. Delta Kappa Epsilon. A retired US Navy captain, he also served as an ops officer, navigator, executive officer, instructor at the US Naval Academy, and attaché. He is survived by his wife, Mary, his sister, 2 daughters, a grandson, and nieces and nephews. Robert B Husselrath ’47, October 5, 2014. Theta Chi, Salmagundi, indoor track, golf, pep band, marching band, debate society; class editor. He worked for the Great A&P Tea Co in New York City until 1971. Later, he founded a food brokerage company, Aikane Marketing Ltd, which grew and was bought out in 1989, allowing him to retire. He is survived by his wife, Rev Edith Sewell, a daughter, a niece, 3 stepchildren, and 5 stepgrandchildren. Lynn E McCredy ’48, September 30, 2013. Theta Chi, student government. US Army Air Corps, WWII. He was a retired FBI agent. He is survived by his wife, Anne, 2 sons, and 5 grandchildren. William J Collis ’49, April 25, 2014. US Marine Corps, WWII, Asiatic-Pacific Medal with 3 bronze stars, WWII Victory Medal, Presidential Unit Citation with 1 bronze star, Combat Action Ribbon. He was a health care professional working for several pharmaceutical companies as well as for the State of New York. He is survived by his cousin and dear friends. Jay B Goerk Sr ’49, July 2, 2014. Delta Kappa Epsilon, cheerleading, swimming. US Navy, WWII and Korean War. He had a sales and marketing career in the food industry — working at Procter & Gamble, Pepperidge Farms, Lipton Tea, Central Soya, and Abbott Dairies, where he served as president. After retiring, he taught a marketing course at Monmouth University. He is survived by his wife, Coralie, 3 sons including Jay Jr ’72, and a daughter. Hilton E Heineke Jr ’49, June 19, 2014. Phi Kappa Psi. US Air Force, US Army. He was a representative for United Services Life, and continued his love for the military by later joining the Indiana National Guard. He was predeceased by his wife, Josephine. He is survived by 2 sons, a daughter, and 5 grandchildren. Edwin L Knopf ’49, May 14, 2014. Phi Gamma Delta, student government. Eastern Michigan University: MA. In Flint, he taught in the public schools for approximately 20 years, built a residential rental business there, and was active in many social and political causes. He is survived by his wife, Dorothy, 2 daughters, a son, and several nieces and nephews. 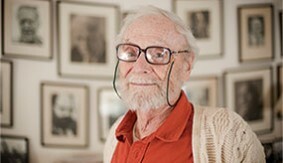 Francis R O’Hara ’49, May 20, 2014. Phi Gamma Delta, boxing, football. US Navy, WWII. After working for Ford Motor Company for most of his early career, he opened and operated O’Hara Lincoln Mercury Saab car dealership in Mishawaka, IN. He also founded the Open Heart Celebrity Classic golf tournament in South Bend, to benefit the American Heart Association. He was predeceased by a son. He is survived by his wife, Virginia, a son, a daughter, 4 grandchildren, and 10 great-grandchildren. 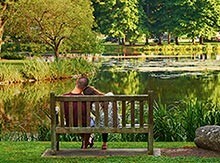 Robert A Boteler ’50, October 1, 2012. Kappa Delta Rho. US Navy. He was employed with a photoengraving business called Lakeside Engravers Inc before working as a driver with the transportation department. He is survived by his wife, Norma Stuhler, 4 children, 4 stepchildren, and 15 grandchildren. Richard Duvall ’50, May 1, 2014. Delta Kappa Epsilon, International Relations Council, Konosioni, Maroon, Maroon Key, Washington, DC, Study Group, WRCU-FM, lacrosse. He worked as a textile trader and proprietor of Tex Pro before he owned and worked at Zodiac International. He is survived by his wife, Wendy. Leo C Varian ’50, March 27, 2014. Phi Delta Theta, Real Estate Professional Network, cross country, student government. US Navy, WWII. He worked for US Gypsum, and later became a partner in a lumber company. He is survived by his wife, Vivian, 2 sons, a daughter, 4 grandchildren, and a great-grandson. David N Wilson ’50, March 31, 2014. Sigma Chi, Finance Professional Network, Maroon, Maroon Key, golf, Alumni Corporation Board, Alumni Maroon Citation Award (1990). He worked as an insurance consultant, served on the Board of Directors for the Foundation for the Handicapped, and was a consultant for Tribus Lee Insurance Agency Inc. He is survived by his wife, Norma, 2 sons, and 2 daughters. Forrest N Clapp Jr ’51, May 30, 2014. Phi Beta Kappa, Commons Club. US Marine Corps. He worked in education and retired as the guidance director of Hugenot High School in Richmond, VA. He is survived by his wife, Betty, 2 sons, and 2 daughters. Lewis R M Hall ’51, July 6, 2014. Kappa Delta Rho, Entrepreneur Professional Network. New York University: MBA, MA. He taught cultural history at the Brooklyn Friends School, and was a noted opera historian. He is survived by his wife, Gemma, a daughter, and great nephew Daniel Berry ’17. Rollin G Schuster ’52, June 15, 2014. Alpha Tau Omega. US Army, Korean War. Before attending Colgate, he played professionally as a pitcher for the Boston Red Sox. He spent most of his professional career at Aetna, and joined the Hartford Agency in 1958. He was predeceased by his wife, Beverly. He is survived by 2 sons and 5 grandchildren. Charles E Hargrave ’53, May 26, 2014. ROTC, Commons Club, Entrepreneur Professional Network, marching band. US Air Force. Cornell University: MILR, 1960. He worked for General Signal Corporation before retiring as owner of another company. He is survived by his wife, Esther, 4 sons, 4 grandchildren, 2 great-grandchildren, his brother, Paul Hargrave ’60, and several nieces and nephews. Donald Stephen Ronnie ’54, May 26, 2014. Sigma Chi, baseball, basketball. After graduating from Colgate, he spent a summer playing semi-pro basketball in Iowa. Then, for more than 50 years, he worked with the basketball program at The Hill School, where he filled a variety of roles: mathematics teacher, dean of students, the varsity golf coach, and assistant baseball coach. He is predeceased by his wife, Peggy. He is survived by 3 sons and his daughter, Cynthia Kirschner ’89. David M Ryan Sr ’56, June 15, 2014. Beta Theta Pi, student government. US Army. He was employed as a salesman with HH Donnelly & Associates, rising to become president, and in 1981 purchased the corporation. He was an author of several children’s stories, a novel, and business articles. 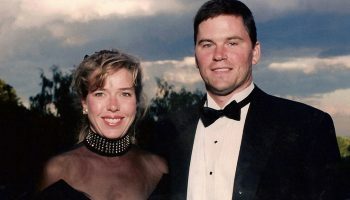 He is survived by his wife, Ellen, 2 daughters including Molly ’00, 2 sons including Dave ’86, 3 grandchildren, 2 brothers, 2 sisters, and great-niece Sarah Looney ’10. Harold E Bennighof Jr ’58, January 5, 2013. Delta Upsilon, Common Good Professional Network. US Air Force. He worked for the Federal Government Social Security Administration as a quality control analyst for more than 40 years. He is survived by his wife, Hilde, 2 sons, and 5 grandchildren. William M Friend ’58, July 13, 2014. Pi Beta Kappa, student government, Masque and Triangle, Salmagundi, religious groups. Harvard University: MA, LLB, 1959; Yale University: JD, 1963. He was partner in the law firm of Friend and Friend for 50 years before he retired in January of 2013. He was predeceased by a sister and a brother. He is survived by 2 brothers. Richard A Hahn ’58, May 27, 2014. Lambda Chi Alpha, Salmagundi, Take Two Film Committee, WRCU-FM, baseball, ice hockey. 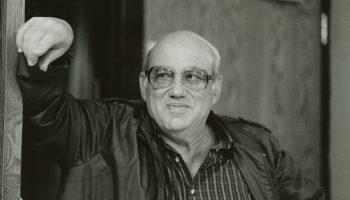 He spent his professional life working in the computer industry, but he dedicated a significant portion of his life to coaching women’s softball, most notably with the Rockford Comets. He is survived by his first wife, Nancy Barnard, and their 4 children; his second wife, Mary, and her 3 children; 6 of his own grandchildren and 7 of Mary’s grandchildren. Warren T Lutz ’61, June 11, 2014. Alpha Delta Phi, WRCU-FM, debate society, student government, baseball. Fairleigh Dickinson-Ruth: MBA, 1979. He served as the executive VP for ST&L Advertising, the VP of sales & marketing for Reed Presentations Inc, and as the president and CEO of Summit Advertising and Marketing. He is survived by his wife, Irene, and 2 children. David R Shailer ’61, April 1, 2014. Phi Kappa Psi, Phi Beta Kappa, Konosioni, Finance Professional Network, Maroon, Washington, DC, Study Group. Yale University: LLB, 1964. He served as executive VP for Douglas, Noyes & Co, and later served as retired managing director for the company as well. He is survived by his wife, Josephine, and 2 children. Geoffrey T Egginton ’63, July 22, 2014. Alpha Tau Omega, Colgate Thirteen, tennis, sailing club; Common Good Professional Network. Columbia University: MA, 1967. Over the course of his more than 40 years in the aviation industry, he established himself as an expert in the design, planning, and construction of airport terminals throughout the world. Most recently, he was associate VP at AECOM in New York City. He was predeceased by his father, Hersey ’30. He is survived by his wife, Susan, 2 sons and daughters-in-law, 2 grandchildren, 2 brothers including Ev ’65, 3 sisters-in-law, and nieces and nephews. James T Klein ’65, May 4, 2014. Delta Kappa Epsilon, Konosioni, Internat’l Relations Council, Maroon Key, student government, baseball, basketball, football. US Army, First Lieutenant, Vietnam. Marshall School of Business at USC: MBA, 1970. He worked at Citicorp, National Westminster, American Bank and Trust, and served as the president at The Knoblauch Private Bank and Security First Bank. In 1995, he became a financial adviser. He also played an exhibition season for the NY Jets, and was inaugurated into the Berks County Coaches Hall of Fame and the Wyomissing Football Hall of Fame. He is survived by his wife, Gwen. Arthur A May ’65, May 16, 2014. Sigma Nu, ROTC, Outing Club. US Air Force, Vietnam, Air Medal, 6 Oak Leaf Clusters. He was a commercial pilot and then retired as director of operations for an air charter business. He is survived by his wife, Donna May, and his children. Neil B Apfelbaum ’68, July 5, 2014. Phi Kappa Psi, Finance Professional Network, Outing Club, swimming, student government. Indiana State University: MS, 1971. During his career, he worked for John Hancock, GE, and Fidelity Investments. He is survived by his wife, Jo, and his 2 children. William J Fager ’69, February 18, 2013. Delta Upsilon, Finance Professional Network, Outing Club, tennis. During his career, he worked at Boston Five Savings Bank. He was predeceased by his uncle John Fager ’35. He is survived by his parents, Paul ’38 and Juliette Fager, and cousin Russell Fager ’71. Stephen N Inbusch ’71, July 5, 2014. Phi Kappa Psi, Konosioni, basketball, tennis. He was director of CS First Boston Corp, and then was managing director at Carin Financial Corporation and CIBC World Markets before he became the CFO of Dynamic Global Officers. He is survived by his wife, Melissa, 4 daughters, and his nephew Matt ’08. James T Gibbons ’72, June 5, 2014. Lacrosse. University of Baltimore: JD, 1975. He was a practicing attorney for the past 40 years. He was predeceased by a daughter. He is survived by a daughter, former wife Judy, and his brother, Clifford ’83. T Charley Matera ’74, June 11, 2014. Colgate Thirteen, tennis. University of Connecticut: MBA, 1982. Later in his career, he worked as a partner at Highland Consulting, and then as principal of HiComm Consulting. He was predeceased by his father, Richard ’49. He is survived by his wife, Martha, 2 sons, and 2 former wives, Elizabeth Matera and Kate Howell. John J O’Grady III ’79, May 1, 2014. Phi Gamma Delta. He held a series of sales positions in the consumer products and financial services industries at companies such as Nuveen and Fidelity Investments. He spent the past 2 years living in Thailand teaching English. He is survived by his 2 children, his mother, and a brother. Carl Padovano Jr ’79, April 1, 2014. Delta Kappa Epsilon, Entrepreneur Professional Network, Maroon Council, football, baseball. He traveled the country as a salesman for Winchester rifles, and later founded Bergen Computer Company in 1987. He is survived by his wife, Linda, and 3 children. Bradford T Gill ’84, June 10, 2014. Delta Upsilon, Maroon Council, football. His football career lasted for a period with the NY Jets. He also worked as a sales professional with various companies. He is survived by his wife, Sheila, 2 children, and nephew Sean Brebbia ’97. Jan A Wolzansky Awad ’84, September 26, 2014. Sailing club; Finance Professional Network. University of Pittsburgh: MBA, 1987. After a career in global marketing and product management, she became a stay-at-home mother. She is survived by her husband, George, a son, a daughter, her parents, and her brother.